In 2017, 223 Master Gardener (MG) volunteers contributed about 14,500 hours serving Arlington and Alexandria under the auspices of the Virginia Cooperative Extension. They operated the VCE Horticulture Help Desk and staffed plant clinics at the farmers markets in Alexandria, Arlington, and Del Ray as well as at the Arlington Central Library serving 2,232 clients. The six demonstration gardens offered teaching platforms as did the MGNV Website, which posted 129 articles and promoted the Tried and True Native Plant Selections for the Mid-Atlantic reaching 39,611 visitors. MGs organized and led over 60 public education classes with some 7,200 contacts. Classes focused primarily on urban agriculture and sustainable landscaping using best management practices for environmentally sound gardening. Sustainable landscape management helps improve soil productivity and conserves and protects water resources. 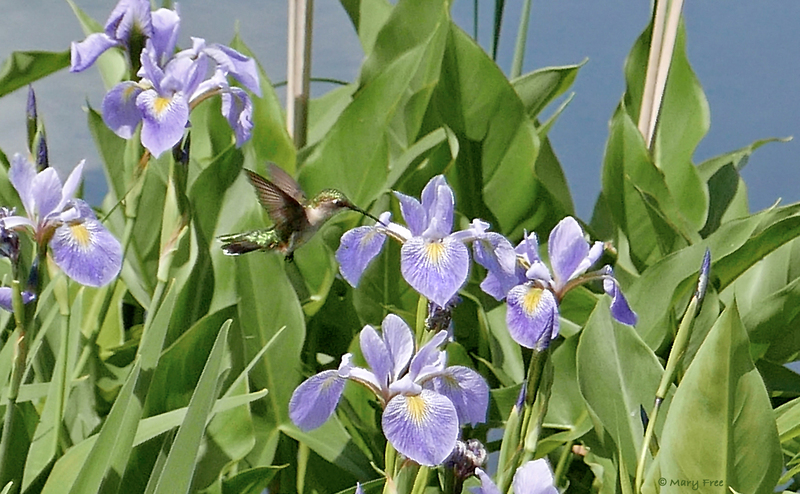 Through use of native plants, it benefits our local habitat and wildlife, including pollinators. MGs created a poster for use at the 2017 Virginia Urban Agriculture Summit that focused on pollinator protection, which seems especially relevant for this Pollinator Week, celebrated from June 18–24. 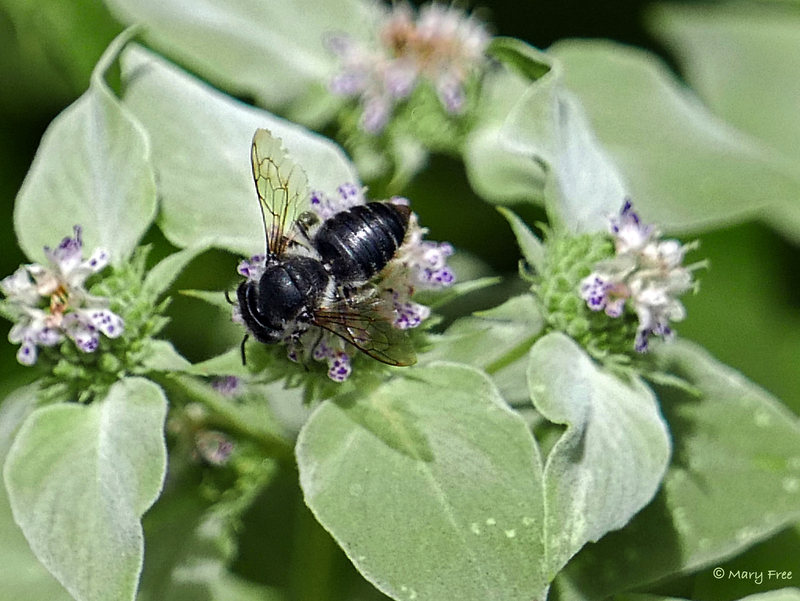 Native mountain mint visited by what appears to be a leafcutter bee. Photo copyright Mary Free. Plant in groups that provide at least three square feet of one variety. Plant white, yellow, or blue flowers, e.g., Blazing Star or Gayfeather (Liatris) to attract bees. Plant bright red or purple single-petaled flowers with a wide landing platform that are easy to stand on when pollinators feed, e.g., Zinnia, to attract butterflies. Avoid modern hybrid flowers, especially those with “doubled” flowers. Plant your pollinator garden in a sunny spot. Include larval host plants in your landscape, e.g., Butterfly Weed (Asclepias tuberosa) for Monarchs as well as Dill (Anethum graveolens) and Parsley (Petroselinium crispum) for Black Swallowtail butterflies. 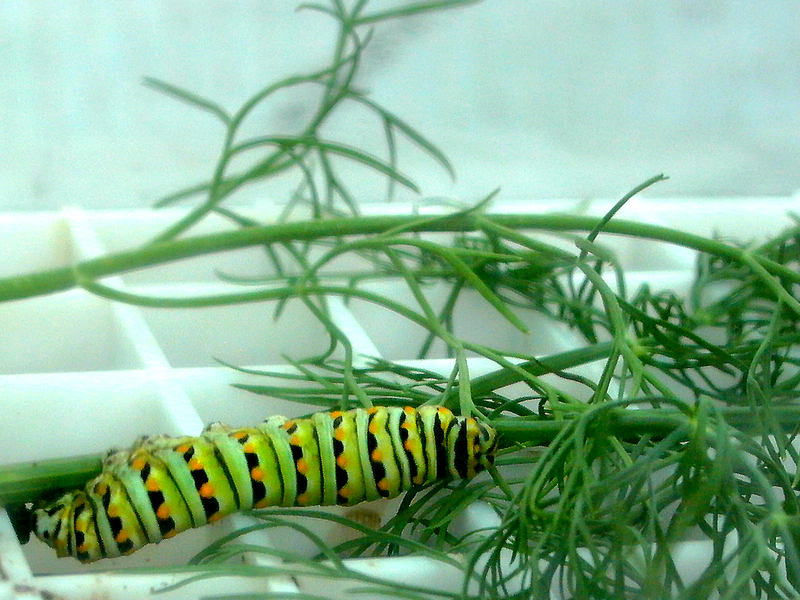 Black swallowtail caterpillar munches on dill. Photo copyright Mary Free. Create a damp sea salt lick for butterflies and bees, or float a piece of cork in a shallow bowl like a bird bath to be used as a landing pad for bees. Leave a dead tree limb or snag, and detritus over the winter, for bees to use as a nesting site and shelter. Eliminate use of pesticides whenever possible. Maintain healthy plants by meeting their cultural requirements with the goal of using fewer pesticides. Follow these practices and you will be rewarded with a plethora of pollinators and they will be rewarded with a healthy habitat in which to thrive. Happy Pollinator Week! This entry was posted in MG in the Garden, Pollinators and tagged Best management practices, National Pollinator Week, pollinator week, pollinators. Bookmark the permalink.